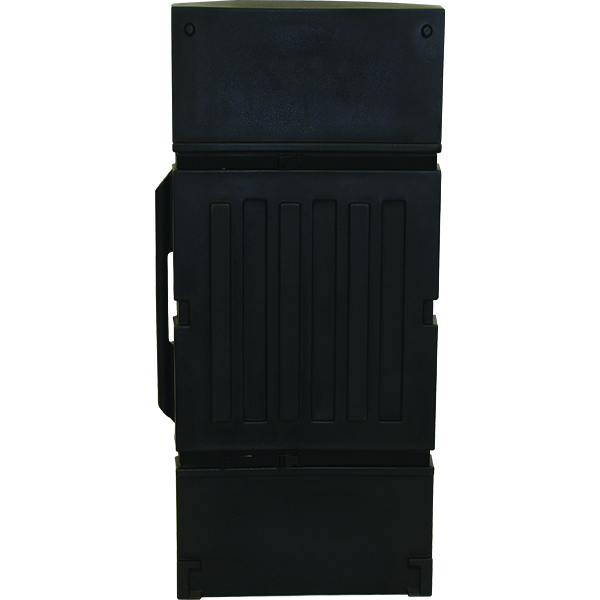 The Large Molded Shipping Case with Wheels is a perfect case to choose for your display shipment needs! Designed to fit most folding panel display systems, this case also ships Orbus Linear Displays and Linear Monitor Kiosks. Tilt wheels and a handle make this case a breeze to transport. The adjustable lid allows you to fit a variety of materials in this case. Inside Dimensions: 29" x 12" x 50"